Kungsleden divests the property Aspgärdan 18 in Umeå in two separate transactions, which will be finalized after zoning and real estate regulation. The divestments are in line with Kungsleden’s strategy to sell real estates with residential development potential. Kungsleden has signed a transfer agreement with Fastighets AB Stenvalvet to divest part of the property Aspgärdan 18 in Umeå. 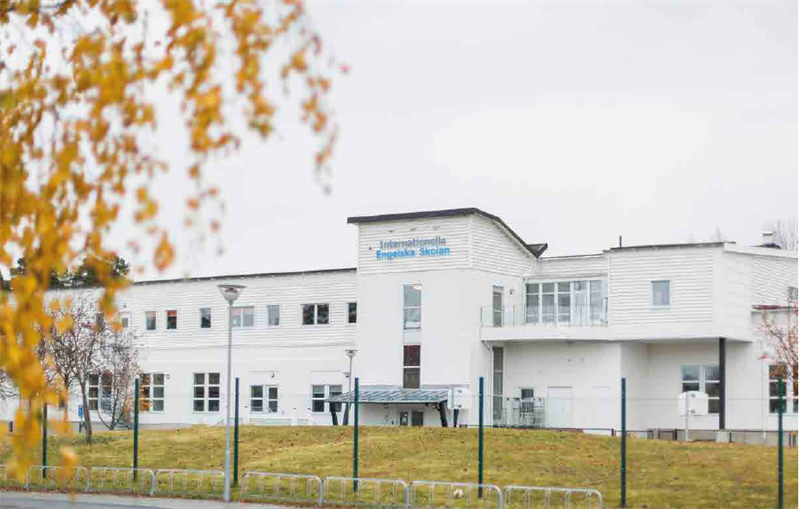 The property comprises a school building, which is leased to the International English School, and the sale price amounts to SEK 149.5 million before deduction related to deferred tax. The transaction generates a profit of SEK 7.5 million. Kungsleden has commenced the work of changing the zoning for the remaining part of the property into residential use. The new zoning under consideration is estimated to permit approximetly18,500 BTA for residential purposes and another 2,500 BTA for commercial purposes. This part of the property has been acquired by HSB. The positive earnings generated from the transaction are estimated to amount to approximately SEK 58 million and is dependent of real state regulation and change of zoning. The property was erected for butchery purposes during the 1950s and 1960s, and has since been refurbished to enable light industry, offices, warehouses and event operations. In 2013, Kungsleden commenced the work of developing the property into a new attractive neighborhood with housing, school and services. As an initial phase of the development, the existing premises were converted into purposeful and modern school facilities for the International English School, which opened during the fall of 2015. Thereafter, the efforts to change zooning has been done to develop a new attractive residential area. The transactions will be finalized after change of zoning and real estate regulation. This is expected to take place by the end of 2017, when the handover of the two properties will also take place. “We are proud to have been involved in developing the old butchery building in Umeå, both from a real estate and urban development perspective – and the value that has been created. We welcome the new owners to continue the asset management of the school and to further develop the new district that we have formed together with Umeå municipality,” says Frida Stannow Lind, Head of Property Development at Kungsleden. In total, Kungsleden has now disposed of 150,000 square meters of its residential development potential in its real estate portfolio at prices between 2 500-10 000 SEK / square meter BTA. The sales generates a total profit of approximately SEK 300 million, of which SEK 42 million was realized in 2016. The remainder will be realized as zonings become legally binding. The remaining potential for residential development in Kungsleden’s property portfolio is estimated to amount to approximately 330,000 square meters. The information was provided for public release on May 31, 2017 at 07:00 a.m.